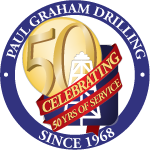 Here at Paul Graham Drilling we keep our quality standards high in order to deliver you with precision machining. We have a superior level of highly skilled machinist working in conjunction with our engineering department to make your idea come to life. Paul Graham Drilling has a full service machine shop that consists of exceptional knowledge, experience, and highly skilled employees to provide our customers with quality product, fast turnaround, and competitive pricing.